Our goal is customer satisfaction based on reliability and integrity. As one of the nations leading food grade trucking companies, Kan-Haul has been a leader in establishing the procedures for clean and safe transportation of liquid food products in bulk liquid tankers for close to 30 years. Industry standards governing the type of liquid food grade products suitable or compatible as previous load transported by a tanker have been made possible by the joint cooperation of shipper, receiver, and bulk food carrier. Kan-Haul has played an instrumental part in supporting and implementing usage of these standards. We are proud of these improvements and proud to be leading the industry in liquid food shipping. While we are proud of our industry leading cleaning and safety standards in shipping, product safety is only a part of the total equation. Timely delivery and economical cost play a major role in bulk transportation. Kan-Haul appreciates the fine support of customers world wide. Kan-Haul was established over 30 years ago, bringing together the combined experience of over 100 years of transportation leadership throughout the Southwest. As an example, the Blue-Bonnet Lines established in 1922 by the Pate family was the pioneer in rail and motor truck combined operations. 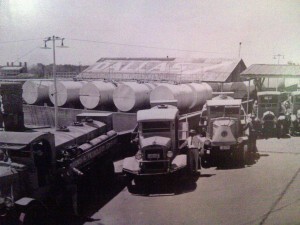 This was one of the first freight companies allowing the combined use of water, rail and motor truck to deliver commodities and led the way to the trailer on a flat car that has become common worldwide. But transportation in the Pate family reaches much farther back in Texas. The town of Pate is on Farm Road 308 about four miles northeast of Leroy in northeastern McLennan County. 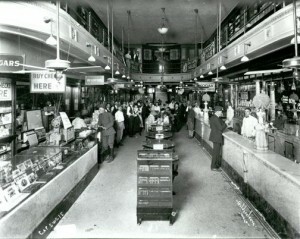 It was established in the late 1800s by the George Hoehn family. The community became a flag stop on the International and Great Northern line when the tracks were laid from Waco to Fort Worth in 1903. The railroad misspelled the family name, and the community became known as Hoen. 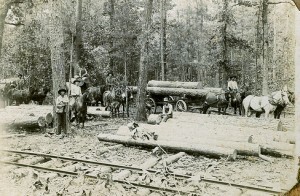 In 1910 Hoen had a store, a cotton gin, and forty residents. A post office was established there in April 1912, with William W. Pate as postmaster, and the name of the community was changed to Pate. Himself a pioneer and one of the earliest settlers in this part of the state he settled on 1600 acres in McLennan county. Large for his age, much of his early life was spent in the saddle on the stock range, and as soon as he became old enough he followed the teaming and freighting business from Waco to Dallas. He at one time owned five ten-animal teams all closely matched which were the pride of the young man; none on the road at that time had better stock and his teams were conspicuous on the highways – fine large mules, and large white draft horses. William W. Pate conducted a stable, and owned his own blacksmith shop at Mt. Calm, a grocery in Pate and before he reached his majority he was employing at times as high as one hundred and twenty men. He branched into extensive business, but never over-reached in his dealings, and was always known to be honest and straightforward, all of which no doubt contributed largely to his success. By subsequent purchases he added lands until he owned 5000 acres, of which 2000 acres were farming lands. His Son was born to the transport business but soon the railroads and Motor truck replaced the teams and freight wagons. 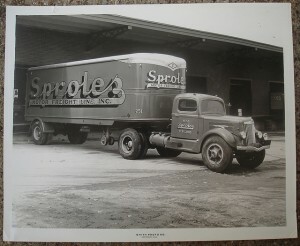 The early trucking supported Grocery’s throughout Texas and the southwest. 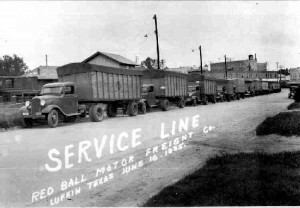 The term “Red Ball” was a railroad phrase referring to express shipping of of priority and perishables (originated by the Santa Fe system ~ 1892, extensive during the 1920s), where trains were marked with red balls and the cleared express use tracks were marked with red balls. Kan-Haul has been a leader in establishing the procedures for clean and safe transportation of liquid food products in bulk liquid tankers for over 30 years. Kan-Haul has spread its roots from Central Texas into all 50 Continental states, Mexico, all Canadian provinces, South America, Northern Europe, Africa and Austrailia. We have a truly Global reach and are a one stop resource for all your bulk transport regardless of if it’s across state lines, country borders or to another continent. You will receive the same timely service based on reliability and integrity that has been passed down generation to generation in the Pate family. We are proud of our lengthy history in this industry. As brightly as our record shines, we are confident of an even brighter future. We’d love the chance to prove ourselves to you, please take a moment to get in touch with us.